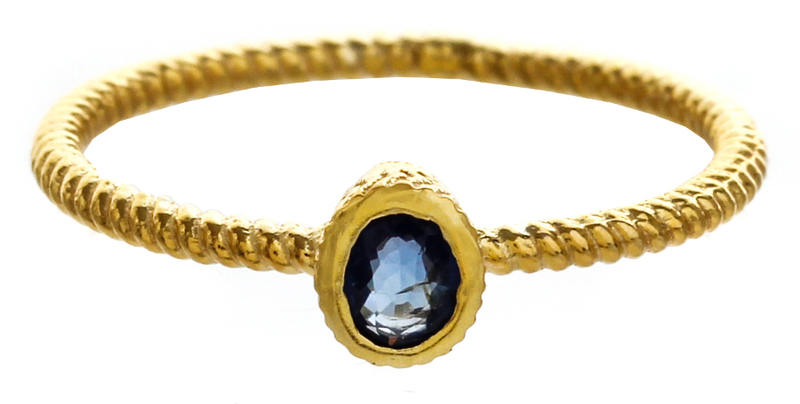 Sapphires are one of the earth’s most desired stones and are used to promote intuition, creativity and love. 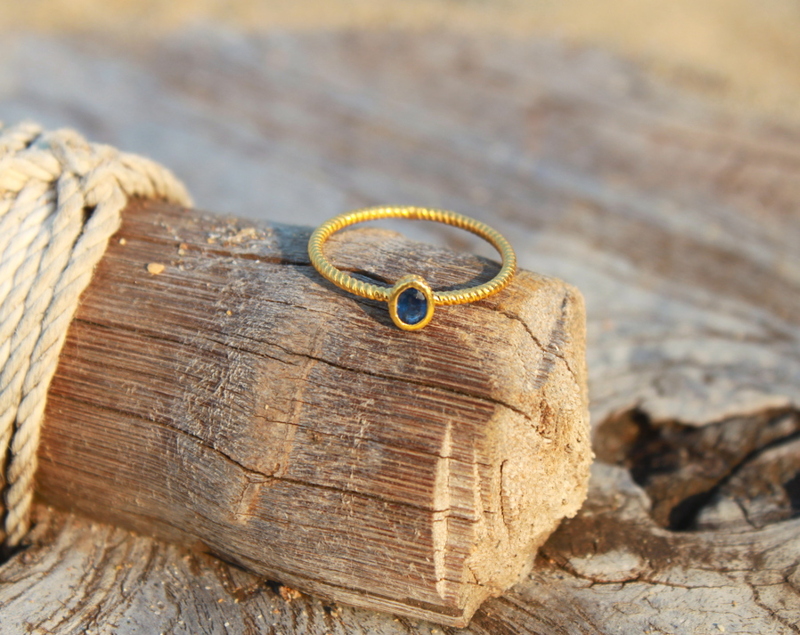 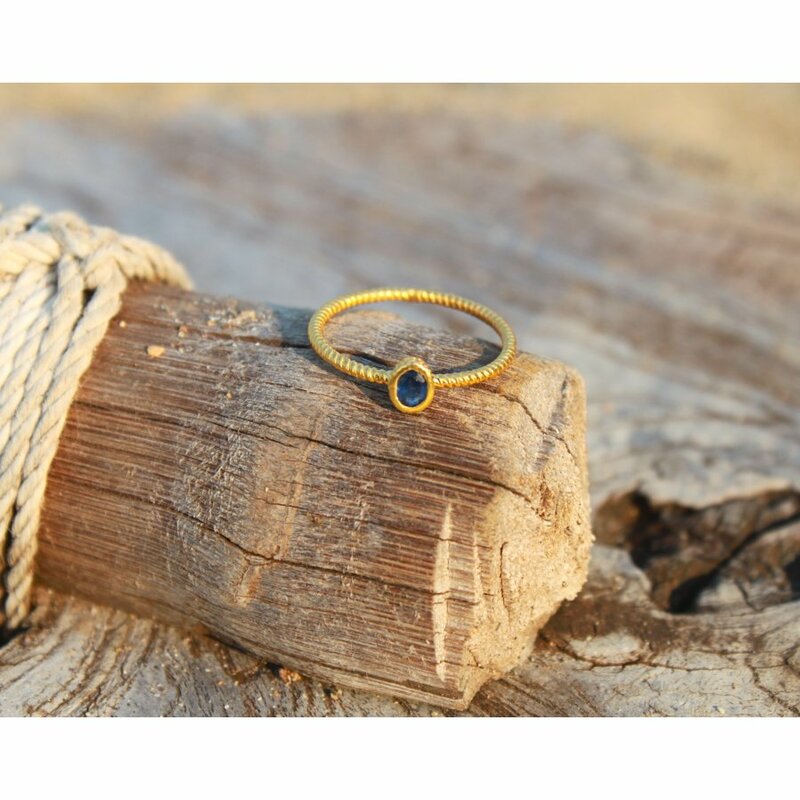 Each one of these natural, midnight blue stones are carefully handpicked and featured in the centre of this beautiful twisted 18ct gold plated ring. 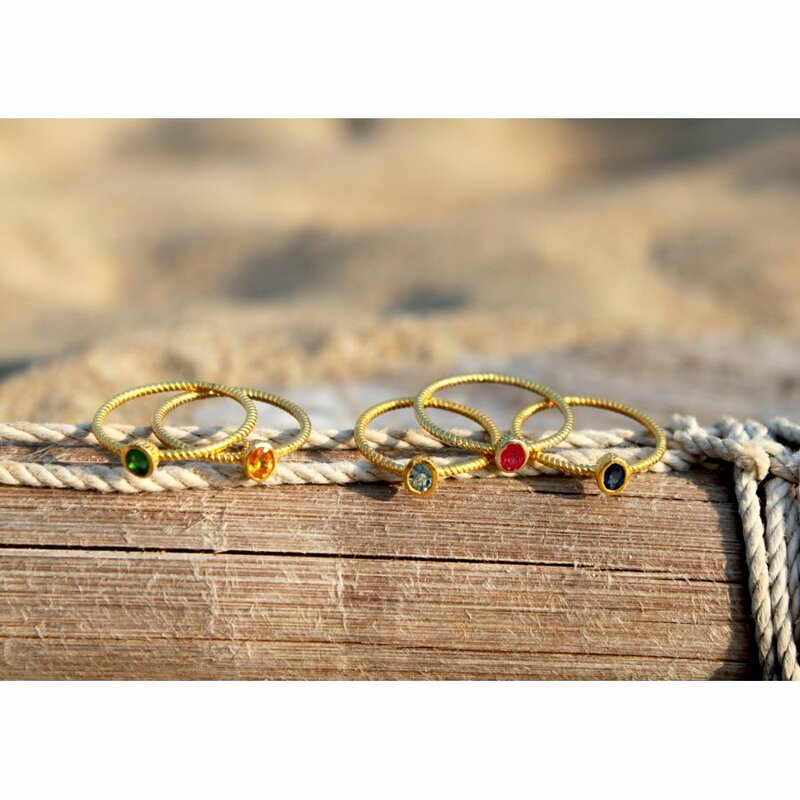 Each ring is ethically handmade using traditional techniques by master jewellers in Rajasthan, India. 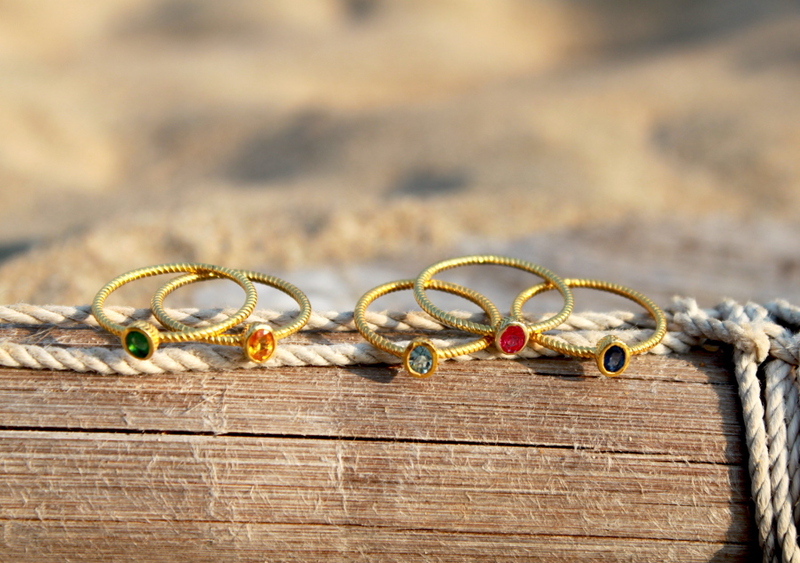 Wear the ring by itself or stack a few up to make more of a statement. 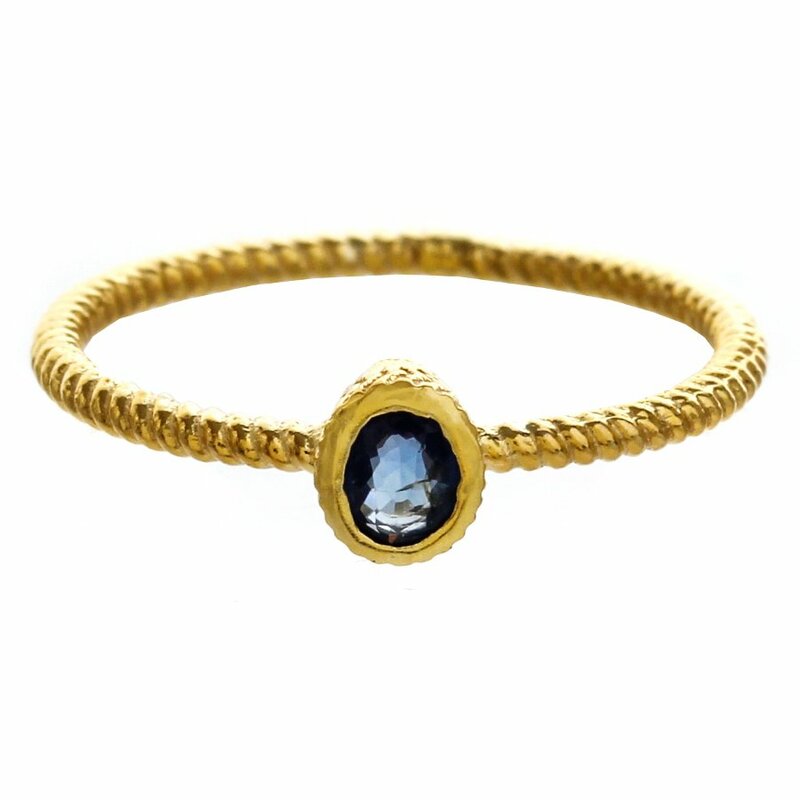 There are currently no questions to display about Marzipants 18ct Gold Ring - Sapphire.